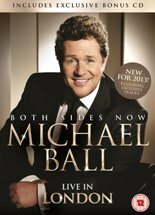 Recorded at London's Hammersmith Apollo on 4 May 2013 with a 17-piece band, this sensational performance features the biggest hits from both Michael's recording and stage career - and also features a new track written by Andrew Lloyd-Webber. 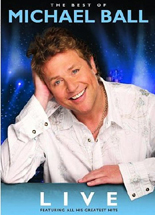 This DVD comes with a free bonus 8 track CD. 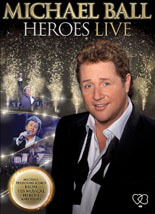 Relive Michael Ball's Sold Out Heroes Tour with this DVD. 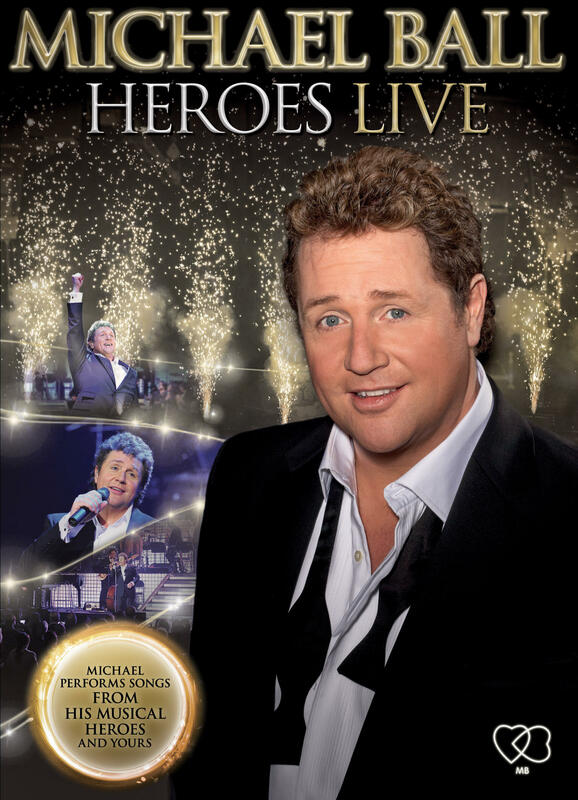 Michael's new tour features solid gold, classic songs which were originally big hits for legendary artists such as Tony Bennett, Johnny Mathis, Frank Sinatra, Neil Diamond, Billy Joel and more. An exclusive look at the dress rehearsal, including interviews from Michael and the crew. Behind-the-scenes footage filmed at the Birmingham show. 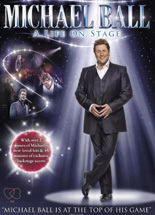 Best of past concert DVDs with 45 minutes Behind the Scenes special. 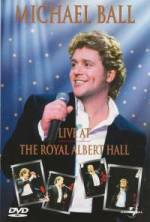 Recorded on 19/10/09 at the Royal Albert Hall. 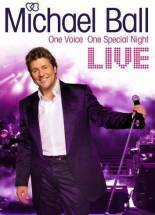 One Voice is the recording of the Hammersmith Apollo concert on 31/03/07, which was part of his 2007 nationwide tour. A selection of clips from his previous concert DVDs. Bonus material: Unplugged section of new songs recorded in an intimate studio setting. 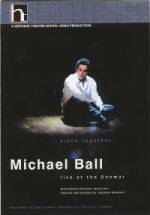 Recording of Michael's critically acclaimed "one-man-show" at the Donmar warehouse! A true must for all fans! 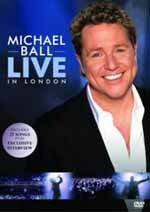 Recording of Michael's one-off concert at the Café de Paris. The setting was an intimate club in the very heart of the West End, where Michael sang in company of a merely 150 fans that were admitted. All during April 1999 Michael undertook another nationwide sell-out tour. 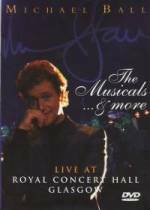 The 2nd concert at the RAH had then been recorded for video and DVD as well as a live CD. There is no bonus material included. At the end of 1996 Michael performed again in a nation-wide tour after having been on stage in "Passion" for most of the year. This video marks the first ever live video Michael published! It was released on DVD several years later. Michael and Imelda Staunton in a movie musical by Victoria Wood, produced for the.BBC and set in Manchester in 1969 and 1929. Michael is featured in the sixth episode and has his own segment in the extras where he records the vocals for the closing credits. 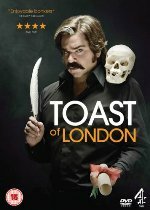 Filmed at the O2 Arena on 03/10/10. Michael joins the cast for the finale (One Day More). 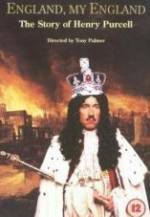 In 1995 Michael appeared in this movie as composer Henry Purcell. Yet it has been his first and yet only pure acting role. So don't expect any singing from Michael here. After being shown on TV and being released on video many years ago it is now finally being released on DVD. 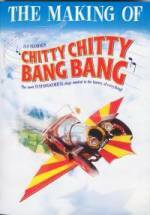 When Chitty went into the planning stages a camera team started their work as well and filmed huge parts of the developing. What was needed? 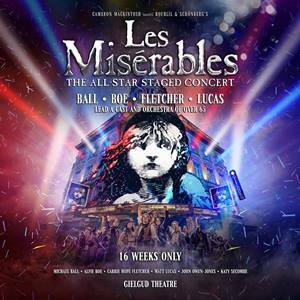 How much work went into doing the most expensive West End show up till then? 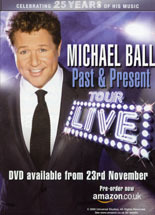 Enjoy the DVD and see, how Michael became a dancer! 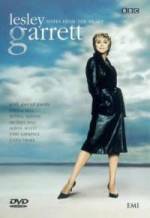 Lesley Garrett is among others famous for the TV show she did for the BBC. At this show, she sings songs of her own and usually she shares her stage with one or two guest stars. One of these guests has once again been Michael. At this years season they sang "The Phantom of the Opera" together. 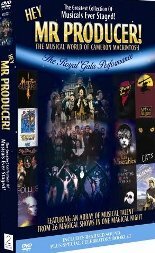 POTO is featured on this DVD. Unfortunately not featured is the first time ever Michael sang "Hushabye Mountain"! 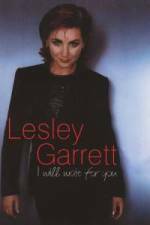 This is the Best of ... recording of Lesley's second season of her own TV show. Michael and Lesley decided for "Bei Männern". A duet taken from the Magic Flute by Mozart. 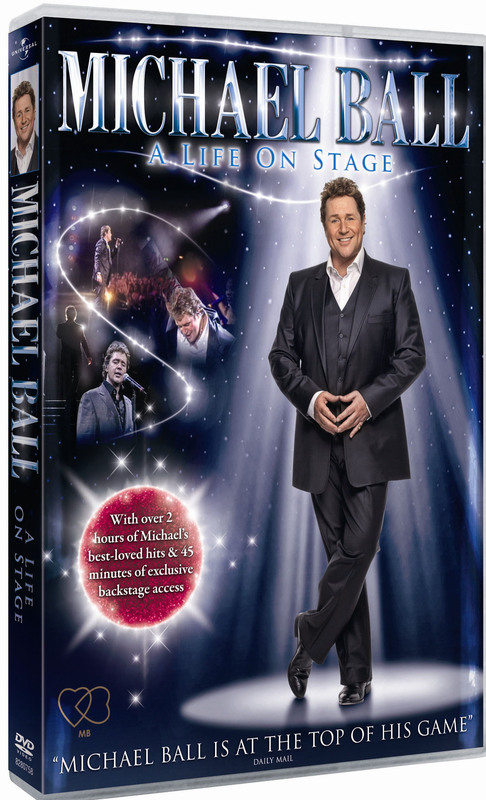 The dvd also features very interesting behind the scenes material that shows Michael and Lesley rehearsing. 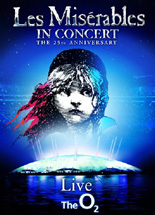 This event took place to celebrate Cameron Mackintosh's 50th birthday. During this show nearly each musical Cameron Mackintosh ever produced to that point was staged. This concert was held to celebrate Anrew Lloyd Webber's 50th Birthday. 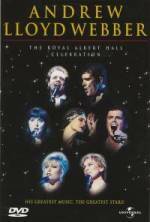 Apart from Michael stars as Glenn Close, Antonio Banderas, Donny Osmond, Sarah Brightman, Elaine Paige, Bonnie Tyler joined in the famous Royal Albert Hall for this special evening. 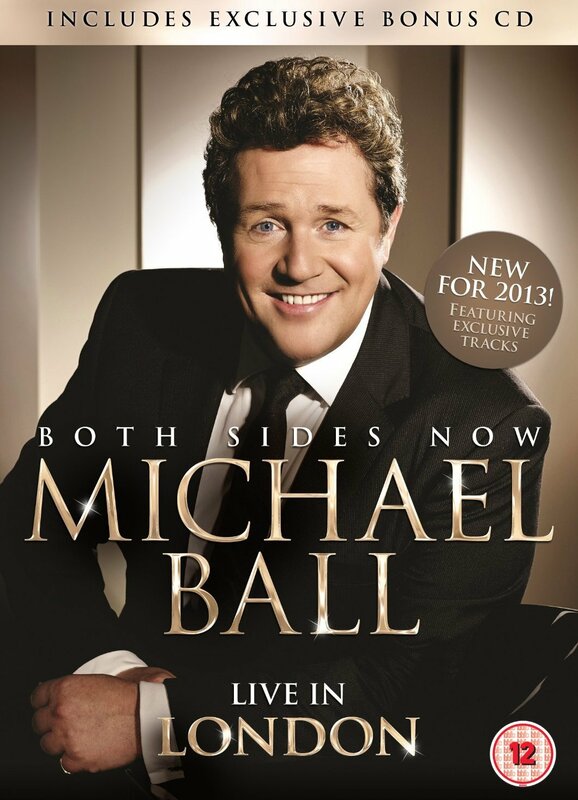 Michael sings for the first time (recorded) Gethsemane and Vaults of Heaven. 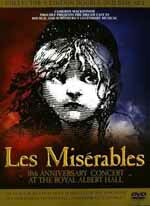 This special concert was held on October 8th, 1995 to celebrate Les Mis' Birthday with a cast that has never before nor afterwards been put together to perform - The Dream Cast. 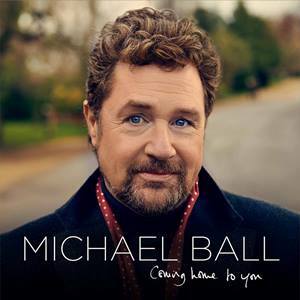 Michael is accompanied by such names as Colm Wilkinson, Philip Quast, Ruthie Henshall and many more to reprise their roles.